Brand new three & four bedroom log chalets located in lower Wadano with ease of access to central Happo area. 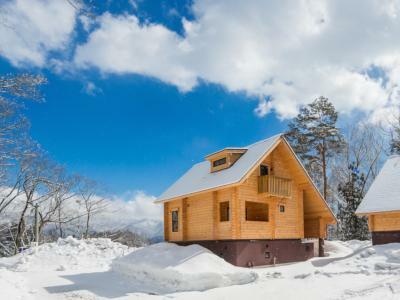 The spacious layout, modern amenities and fully equipped kitchen makes for the perfect retreat for large groups of friends and families, sleeping up to 8 or 10 guests respectively in each chalet type. The warmth of the all wood interior will make you feel at home within minutes.